Thunder Dragon is incredibly unfair so playing anything else didn’t really seem viable. The Thunder Dragon engine is just so much better than other decks. Because of this, I wanted to max out on it with all the Chaos monsters and Dangers. I also tried to play as little disruption as possible, but still needed some for the mirror match. Sauravis, the Ancient and Ascended, Forbidden Lance, and Photon Cerberus were the main techs. I wanted some anti disruption cards, but Duster is much too slow and Mystical Space Typhoon/Cosmic Cyclone just don’t do enough. Sauravis and Lance were both amazing and they both do basically the same thing as they stop most of the relevant disruption, just with slightly different pros/cons. Cerberus was incredible, there wasn’t a game where I summoned Cerberus and didn’t win. I also played Danger cards to in theory help get my engine started, but they were all complete trash. They’re mostly just free big monsters which could be good in other formats, but they’re terrible in Thunder Dragon mirrors which were my main concern. The only time they were good was when my opponent discarded Danger! Thunderbird! off of his effect and I got to pop a set card. I mostly just expected mirrors, so I tried to focus my main/side on beating the mirror. However, a lot of the cards in my side should’ve just been mained, especially Maxx “C” since I sided it in every single match. I drew Fusion a lot, so my mirrors were really good. Thunder Dragon is really unfair so I won vs everything else. Not at all, but you could maybe play Thunder Dragon as a chaos engine just to search Aeon. I don’t personally think that’s very good after testing it a bit though. Trinities are a Co-Forbidden pair of Black Luster Soldier – Envoy of the Beginning and Magical Scientist and 1 Semi-Forbidden Shaddoll Fusion. I’ve always had a soft spot for decks that generally revolve around a specific win condition. In Trinity, this is made even more difficult and impressive to achieve. ABC-Dragon Buster, El Shaddoll Construct, Chimeratech Rampage Dragon, and Cyber Eternity Dragon are all boss monsters that require a little more than a regular out. However, they also have a very noticeable constraints on deck building. Having a deck that thrives on breaking whatever board the opponent makes is just fun in general too! First, don’t rely on side decking for poor matchups. My mentality was to have as strong a deck as possible, with very little changing card wise between games. Each archetype has its own style you need to play against though. This deck was good at finding the hole in many of those deck’s strategies. Second, have as many different cards that serve the same purpose as possible. Since this is mostly ABC Turbo, that means getting pieces to hand and grave. Shaddolls send light monsters for Construct, Cyber Dragons have Rampage Dragon that sends light machines, and a searchable trap that searches Light Machines. 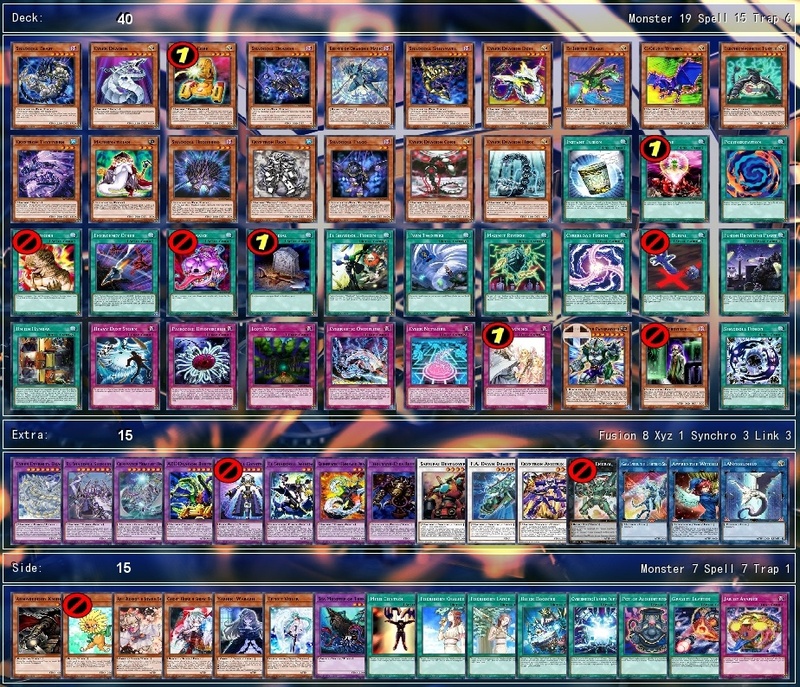 Instant Fusion, Metamorphosis, and Magical Scientist all bring out Thousand-Eyes Restrict. 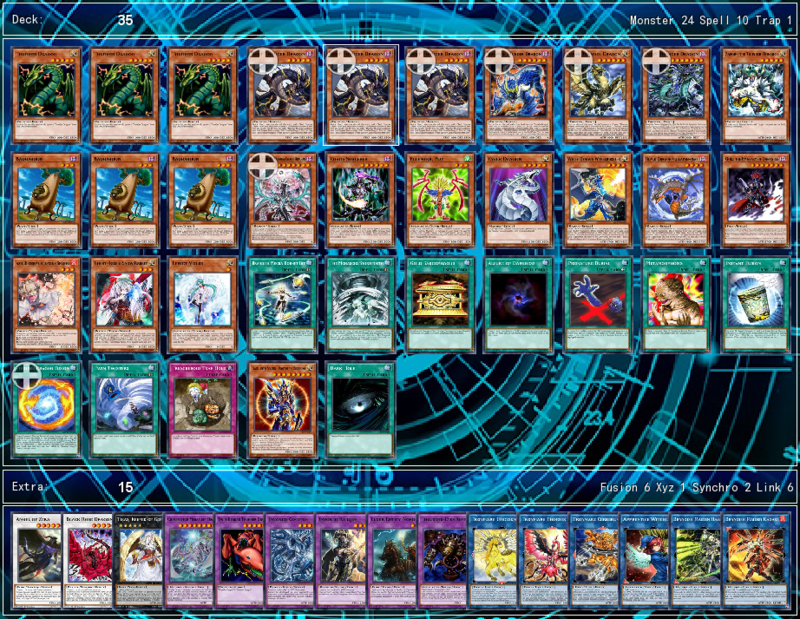 Magical Scientist, Metamorphasis, and regular fusion summoning all bring out Rampage Dragon. The idea here is that redundancy and repetition in deckbuilding are very important, especially when you’re limited to just 1 copy of most cards. I suppose the big tech choice for this deck was Fusion Recycling Plant. A lot of people in the discord argued that it produced hands that were unplayable when that was not true. 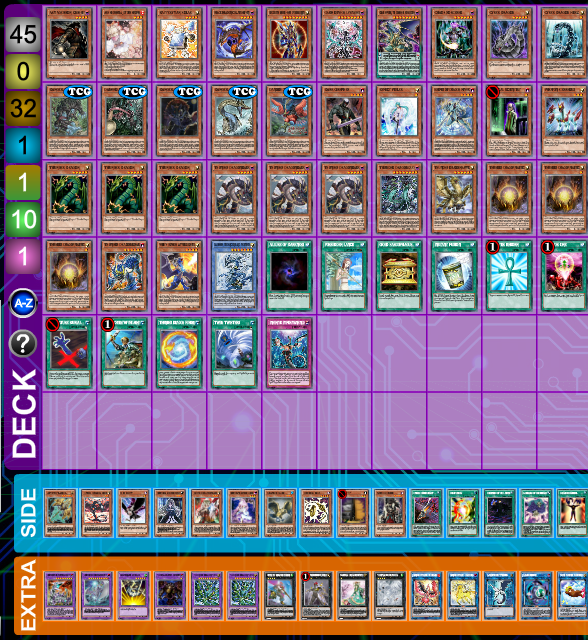 It made regular fusion summoning any Shaddoll Extra Deck monster actually plus significantly. This was especially if I had an El Shaddoll Fusion that would let me leverage the special summoned Shaddoll. I did a very poor job with the actual Thunder Dragon siding and tech. Luckily, I did have Ash in the main, so I was able to turbo out my own game plans before they did. I think the only three cards techwise that I specifically wanted were Ash Blossom & Joyous Spring, Mind Control, and Burial From A Different Dimension. This deck thrives on keeping decks to either keep up or slow down to my pace. Against GoodStuff.deck, the match up was essentially how long can I keep my opponent from outing my threats? Against Thunder Dragon the question was can I stop Titan coming out 3-4 times in a match, or at least until I can turbo out my own threats? techs I am currently playing that both just improve the deck, and work around traps better. 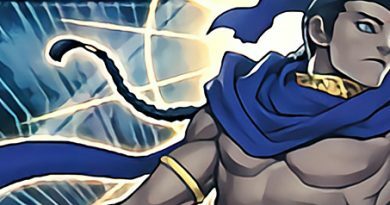 The big question for me is whether trap control is going to be massively prevalent in the meta. This is because this deck loses more to being stopped than anything the opponent’s deck is actually doing itself.. The first change I’d make is to drop the XYZ. They just didn’t do anything. Then add some revival spell/traps for some good ol’ laughs when they do manage to out one of the deck’s many boss monsters. Trinities are a Co-Forbidden pair of Dinowrestler Pankratops and Magical Scientist and 1 Semi-Forbidden Shaddoll Fusion. I chose to run this deck because I knew that Thunder Dragons were gonna be the best deck of the format. I also felt that Thunder Dragons were gonna give me the best chance to win the tournament. Meepmoto and I were working on Thunder Dragons. We both came up with a list, but he told me to run more cards to take advantage of Thunder Dragon Titan. While it caused consistency issues at times, the power of the second Titan was worth the tradeoff. I didn’t really prepare too much against meta since I took a break from Trinity until last month. 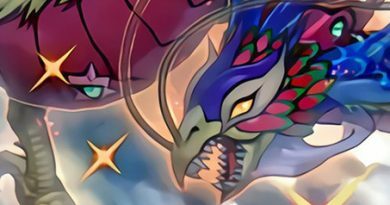 I just knew that Thunder Dragons were going to be really strong even without Thunder Dragon Colossus. It is not playable in the current format due to Thunder Dragon Titan being Forbidden. It is too powerful in the format and the Top 4 being dominated by it proves my point. Like the other members of the top 4 cut who ran Thunder Dragons, I recognized that even without Colossus, the deck was oppressively strong. The combination of a huge recurrable boss monster with multiple maindeck unbound cards ended up being a truly deadly combination for the October meta. My philosophy here was to make sure we maxed out on Thunder Dragon cards first of all to ensure the consistency of the main line of play. Beyond that, I focused the deck on having enough backrow and generic good control cards to still be able to survive long enough in games where I bricked. 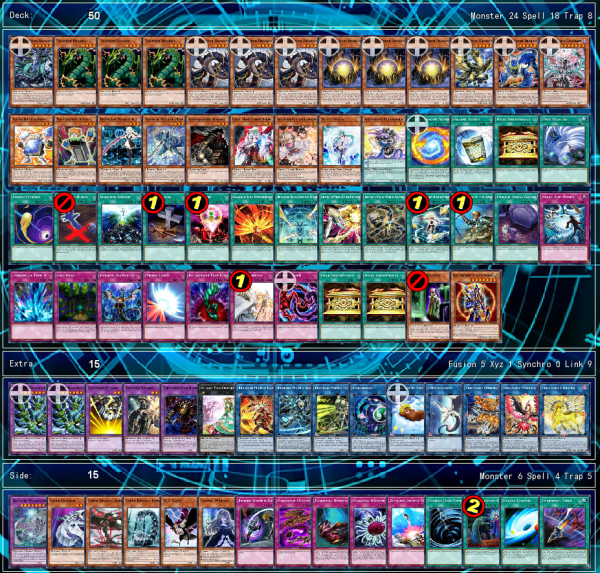 This is primarily where the Sky Striker engine came in as it proved extremely good at stalling out vs most decks. I didn’t run particularly much tech in the deck since maxing out on playstarters and staples was key. However, I think that running Foolish Burial Goods was an extremely good choice. It helped much more consistently get the Thunder Dragon Fusion loop off the ground. This loop involved using Thunder Dragon Fusion’s search to get Thunder Dragonroar which could recycle it to hand and re-fuse a dead Titan into a new Titan. This was the main motivation behind running a Trinity on a second Thunder Dragon Titan. The strength of this combo won me every single game I got to it in. I prepared for the meta by testing against as many different matchups as possible. 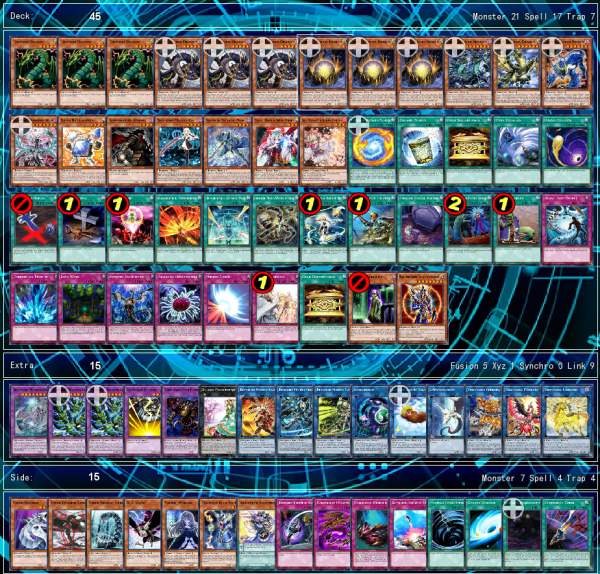 The deck’s extremely good record against most previous meta threats (mainly backrow control and some Shaddoll variants) gave me confidence that the deck would perform well in the Cup. My biggest miss in regards to preparation was not testing the mirror match enough which came back to bite me since half of my matchups were the mirror match. I think if I had tested more for the mirror match, I would’ve been able to target better side deck picks for it. My matches went into two main buckets: the mirror match and every other deck. The mirror match ended up being extremely swingy and often relied on who could establish the Titan loop first as well as what board control staples you could combine that with. For every other matchup, if I established the loop I would almost always win. My only loss outside of a mirror match was to 30 Card Blue-Eyes. This deck was able to overtake me due to its similar damage potential and much higher consistency. 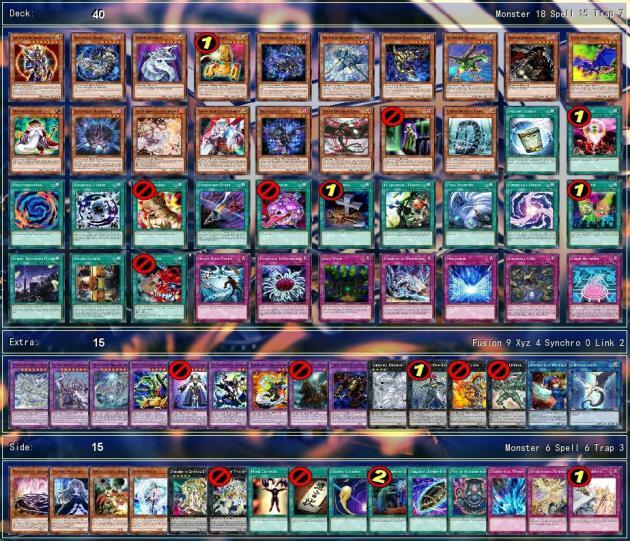 As every other Thunder Dragon player has said so far, the deck is not playable in anywhere near the form seen here. However, it can still be used to some success as a Chaos shell. The list posted at the top should still hold true. 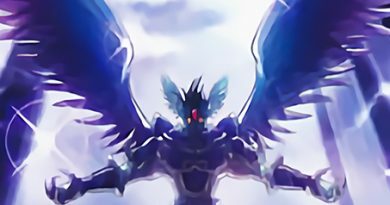 Unfortunately due to the lack of a true gameplan outside of just using Chaos monsters, tech engines like Sky Strikers no longer really work in the deck.